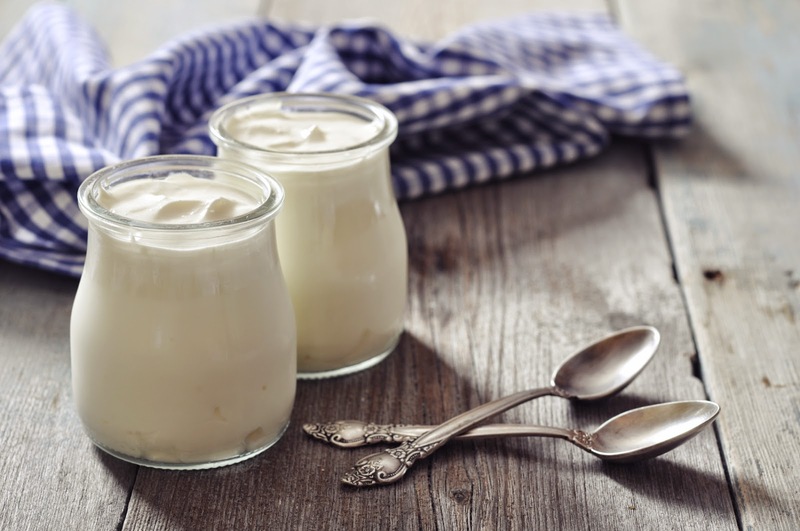 Yogurt is a fermented milk which turned out has a myriad of health benefits. One of them, ie can lower cholesterol levels. According to Marya Haryono, a clinical nutrition specialist said, that the yogurt can bind cholesterol in the intestine so it can be removed together with dirt. "Yogurt contains lactic acid bacteria and probiotics that can inhibit reabsorption of bile and cholesterol absorption," Marya said in the Media Adventure with Heavenly Blush event in Sukabumi, Indonesia on Tuesday, April 21, 2015. Marya said, yogurt is easy to digest and contains a number of nutrients that are good for the body. Nutrients that of the milk is also found in yogurt. "Yogurt is also high in calcium such as milk. The consumption of yogurt twice a day should be able to meet the needs of calcium per day with an average of 1,000 milligrams," said Marya further. The benefits of yogurt to lower cholesterol levels have been proven in a study conducted in Shiraz, southern Iran in 2010. They examined the consumption of yogurt with probiotics and without probiotics against to 46 respondents aged 20-67 years old. As a result, they were given a probiotic yogurt 300 grams per day was effective at lowering levels of LDL and cholesterol.